David Cox provides detailed answers to questions from letting agents from around the country about the Tenant Fee Ban. 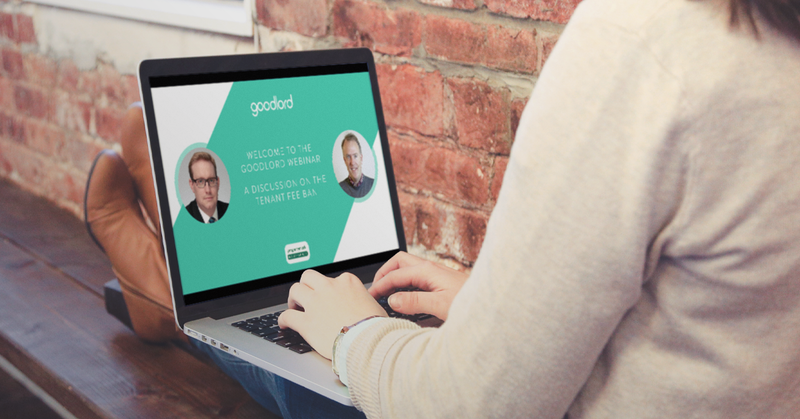 ARLA CEO David Cox joined Goodlord for a webinar on the Tenant Fee Ban, where he answered the questions of letting agents from around the country. How can we avoid applicants withdrawing once the application process has already begun? You will be able to take up to one week’s rent as a holding deposit on the property, which you can hold for 15 days. If the agent or landlord pulls out, you have to give that holding deposit back. If the tenant’s application is successful, you’ll also have to give that back. However, if the tenant pulls out during the application process, they’ll forfeit their holding deposit. That has been done very deliberately to stop tenants applying for multiple properties and then deciding which one they’ll have. If the tenant is dragging their feet and not responding to emails, not giving the referencing agency what they need for longer than 15 days, they would also forfeit the holding deposit. But if it’s the agent or the landlord that’s dragging their feet and that goes beyond 15 days, they would have to give it back. Will we need to refund existing deposits that are longer than five weeks? We’re expecting the guidance to say that as long as the tenancy continues after the introduction of the ban on 1st June, you won’t be expected to retrospectively give back one, two or three weeks rent, depending on the length of the deposit you’ve taken. However, if the tenancy renews, anything in excess of five weeks will become a prohibited payment and you would have to refund it. For example if you’ve taken a six-week deposit and the tenancy renews on 1st of January 2020, you will have to give back that extra week. Can we keep the fees that have been charged for tenancy agreements that have already been signed? Yes you can - the law is not retrospective. The ban will only affect contracts which are signed on or after 1st June. You can continue charging fees for any contracts signed before 1st June and any fees associated with that tenancy can still be charged for a period of 12 months after the ban comes into force. This means the last date of chargeable fees for existing tenancies will be 31st May 2020. But, if the tenancy renews during that period, that becomes a new tenancy, which means all fees will be banned, because that will be classed as a new tenancy. Can we charge guarantors admin or referencing fees? No. It’s called the Tenant Fees Bill but they’ve pretty much entirely removed the word “tenant” from the bill - what they talk about is a relevant person and a relevant person is anyone that’s involved in the granting, continuation, renewal or termination of a contract. It includes prospective tenants, actual tenants, guarantors, etc. It’s exceedingly widely drafted. Will landlords be able to charge move-in fees? No. The ban doesn’t just apply to letting agents, it applies to landlords as well and third parties, such as referencing agencies. So whilst we talk about it as a lettings fee ban, it’s more a PRS fees ban, so it doesn’t just apply to letting agents. Will we be able to charge for Right to Rent checks? No, you will not be able to charge the tenant for Right to Rent checks - the landlord or the agency will have to pick up those costs. However, if the tenant fails a right to rent check, that is a reason for withholding the holding deposit, because an applicant should know if they’re going to fail and have therefore deliberately wasted an agent’s time and money. Can we receive commission when selling insurance products to a tenant prior to a tenancy starting? Yes, but they must be optional - they cannot be a condition of the tenancy. If they’re a condition of the tenancy, they’ll be a prohibited charge. But if agent advises a tenant to take out contents or tenants liability insurance and recommends their preferred suppliers, that’s fine - it’s then the tenant’s choice to take that out. Are we allowed to receive referral commissions from a reference company if we refer tenant to secure a reference? I would strongly urge you not to do that. I understand the logic, but tenants effectively shouldn’t be paying for referencing. Technically the answer is yes you can, but you are skirting very, very close to the edge of the law. Will we be able to charge a fee if a tenant ends a contract before the end of a fixed term? Yes, you will be able to charge for the surrender of tenancy or change of sharer, but we do not yet know what an “acceptable” charge will be. Can we take an increased deposit if the tenant has a pet? No - the deposit cap is an absolute cap, you can’t charge more. You will need to look at other options. There’s nothing in the law that says you can’t charge increased rents for pets, for example, so you could put a pet premium on the rent at £10, £20 a week. But if you do, you will need to disclose these premiums under the Consumer Protection Regulation Act of 2008 - so you’ll need to put them in your advertisements otherwise you’re likely to be breaching these regulations. Can we charge an insurance premium for a deposit replacement scheme? Yes, but only if it’s optional - the tenant must have a choice between paying a five-week refundable deposit or a non-refundable insurance premium.